The built-in cutting board incorporates clear and precise grid scale lines. Thanks to these lines, you'll be able to cut very much according to the size you want. The non-slip rubber feet on the base's bottom minimise unwanted movement, all while protecting the countertop from any potential damage. 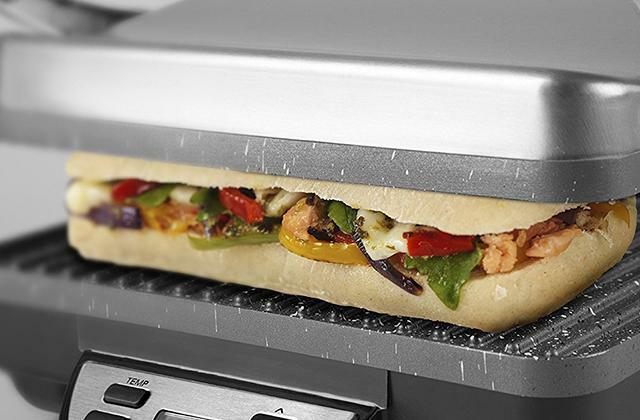 Takes up more space than your average slicer like that. Zanmini Wire Slicer is the largest and the least compact tool we're presenting here. It is also one of the most impressive options on the market today and definitely one of the better deals within its price range. 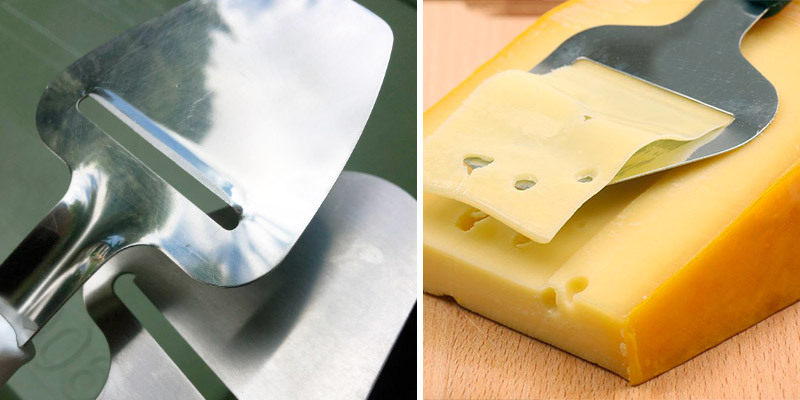 The tool is versatile, durable, and more reliable than your average cheese slicer. 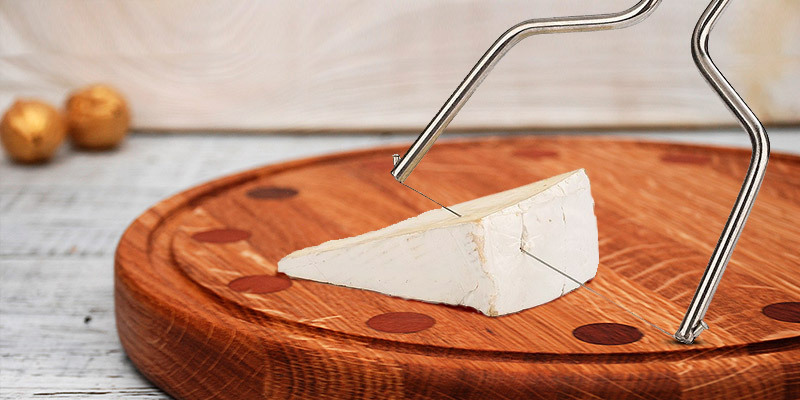 Thanks to the roller equipped over the stainless steel wire cutter, the cheese never sticks to the tool. This is particularly important when you're slicing cheeses like gouda and parmesan. Different angles will give you different slice thicknesses. The housing is susceptible to scratches. 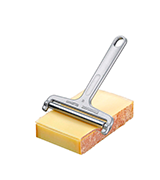 Westmark Rollschnitt Cheese Slicer is a clever and practical kitchen tool. You can use it with many different cheese varieties. 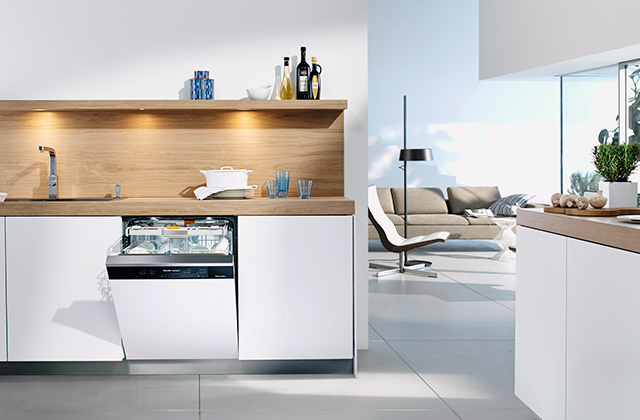 Plus, it comes equipped with a nice little hanging hole, giving you additional storage options. You can use the roller to change the wire tension, making it last longer. The wire blades are perfectly changeable. 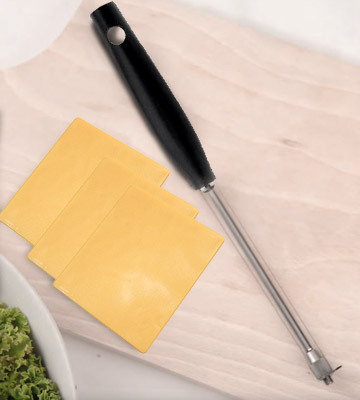 On top of the tool, there's this nice little accessory that doubles as a fork, so you can cut the cheese and serve it without any additional cutlery. The handle could use some non-slip padding. 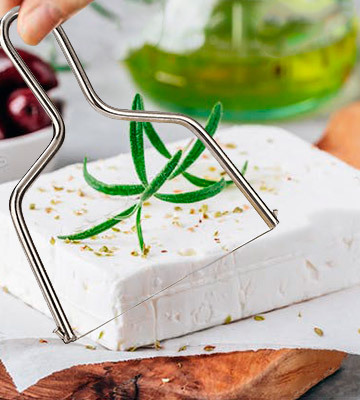 Gastromax 7405-1 Wire Cheese Slicer has a lot going for it. It is noticeably cheaper than every other tool on this list but not quality-wise. The tool is super compact, surprisingly practical, and about as durable as the next slicer. 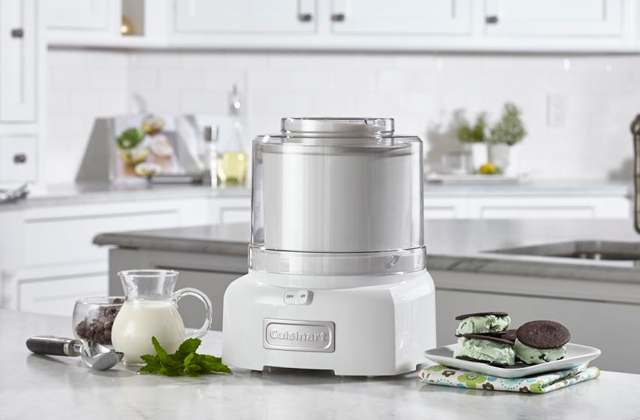 In addition to cheese, the model allows you to cut pieces of pâtés, cakes, as well as sweet or savoury pies of a soft consistency. The slices come out as thick as you want without damaging the main piece. 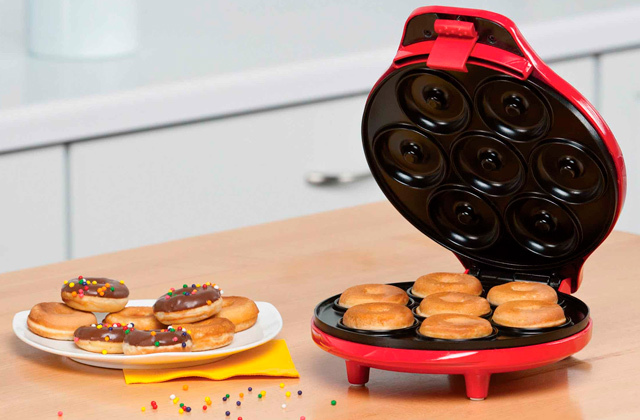 With its help, you'll be able to make canapés, skewers, those thin little sandwiches, and other similar snacks. It takes some skill to make the wire stay in place. Jamonprive Cheese Slicer Lyre is still a great kitchen tool. 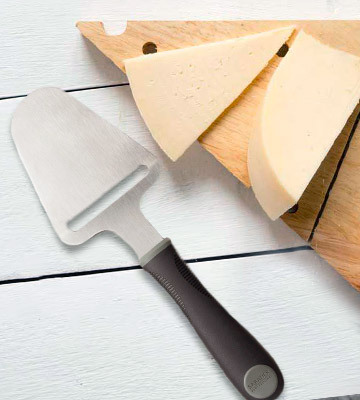 It is particularly great for slicing feta, brie, camembert, and other soft cheese varieties. It takes very little space and its stainless steel construction is rust- and corrosion-resistant. The kitchen gadget is both a cheese plane/slicer and a server tool. Its non-serrated blade easily planes, cuts, shreds, and slices thin little slices of cheese and serves them too. The ergonomic handle remains comfortable even through extended use, giving you a soft but secure grip so that you're able to control the tool with ease and precision. The maximum width of a slice is limited to 5.5 cm. Taylors Eye Witness Sabatier Professional 9" Kitchen Slicer is more or less as professional as advertised. 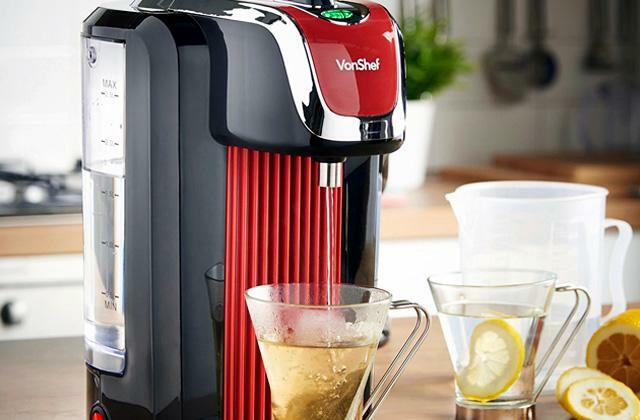 With its help, you'll be able to do more than just slice cheese. The materials involved here are robust and reliable in the long run. 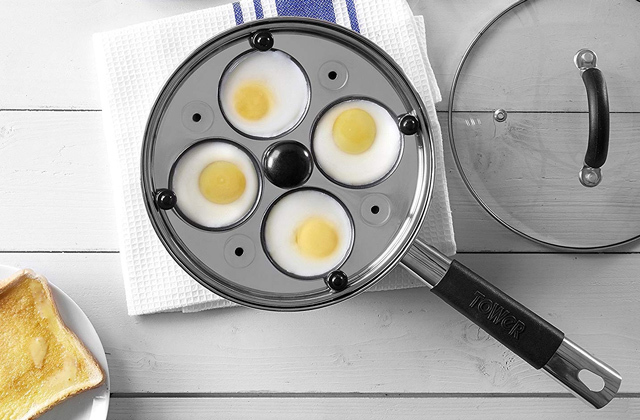 Plus, the tool is dishwasher safe. Taylors Eye Witness Sabatier Professional 9"
Zanmini Wire Slicer is the largest tool on this list. As you can probably tell, it is far less compact and takes up a lot more space than your average cheese slicer. That being said, this is still probably the best cheese slicer here. 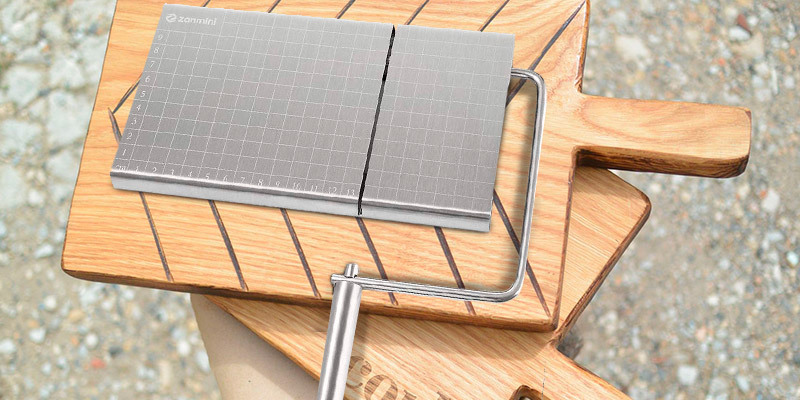 The tool's increased size comes from the built-in cutting board that incorporates clear and precise grid scale lines. Thanks to these lines, you'll be able to cut very much according to the size you want. 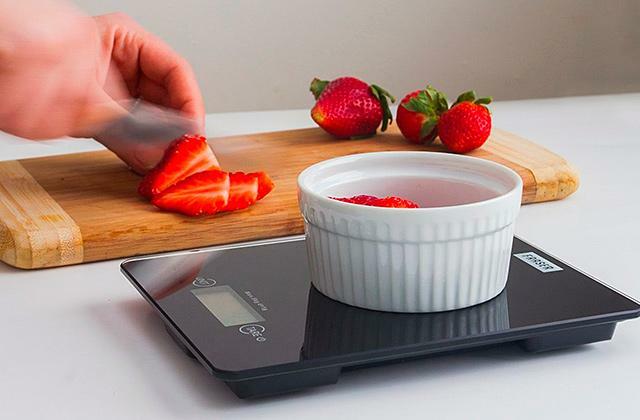 You won't have to worry about slicing too large or too small. Other than that, the model also comes equipped with these nice non-slip rubber feet on the base's bottom. They're here to minimise unwanted movement and, needless to say, slipping, all while protecting the countertop from any potential damage. Apart from the cutting board and these feet, it is the little things but these little things do make a difference too. 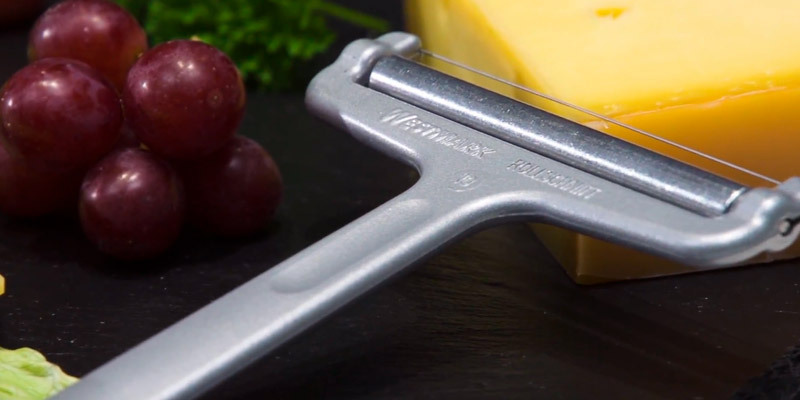 The high-quality 403 stainless steel doesn't look all that different from the usual deal on paper but, partially thanks to its sturdy composition, you'll be able to cut and slice the hardest cheese out there, including cheddar. Finally, the product comes supplied with 5 replacement wires. Having these replacement wires means you can use the tool to slice other items like butter, ham, cake, fruits, and vegetables. Again, Zanmini Wire Slicer is the largest and the least compact tool we're presenting here. Nevertheless, it is also one of the most impressive options on the market today and definitely one of the better deals within its price range. The tool is versatile, durable, and more reliable than your average cheese slicer. The people behind Westmark Rollschnitt Cheese Slicer pride themselves on their clever and practical kitchen gadgets and household articles and, as far as we're concerned, the model in question is a good example of a gadget like that. 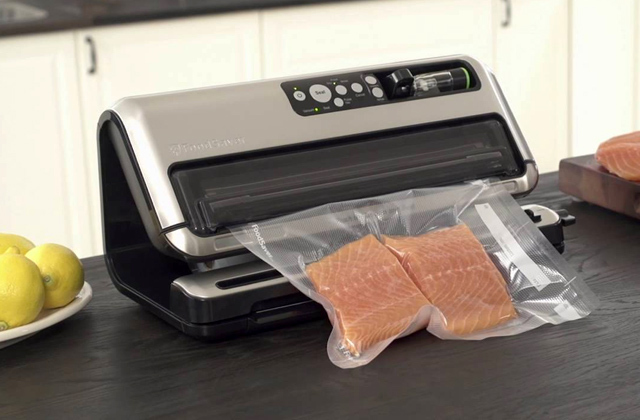 It seems so simple and not at all different compared to just about any slicer like that on the market right now and, frankly, just about any basic kitchen tool in general. But that isn't entirely the case. Sure, it's simple but not at all basic. 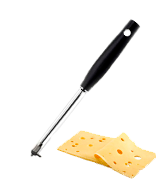 Thanks to this nice little roller rolling over the stainless steel wire cutter, the cheese never sticks to the tool. This is particularly important when you're slicing cheeses like gouda, parmesan, and other cheese varieties without any holes in them. 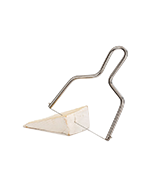 The aforementioned roller and the wire cutter are also the reason you can use the tool to cut semi-hard cheese just as easily as soft cheese. Want thinner slices? Just angle the model a little and, et voila, there you go, different angles will give you different slice thicknesses. The only thing we don't really care for is the housing here. More specifically, the part where it is susceptible to scratches. 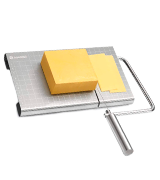 Aside from that, Westmark Rollschnitt Cheese Slicer is a clever and practical kitchen tool. You can use it with many different cheese varieties. Plus, it comes equipped with a nice little hanging hole, giving you additional storage options. Gastromax 7405-1 Wire Cheese Slicer doesn't necessarily look the part but the tool is surprisingly practical and effective. Among other things, the practical part stems from this little roller that you can use to change the wire tension, making it last longer. Another "little" detail that makes the tool more long-lasting is the wire itself, with its robust stainless steel build. By the way, the wire blades are perfectly changeable, though you will have to purchase the replacements separately. 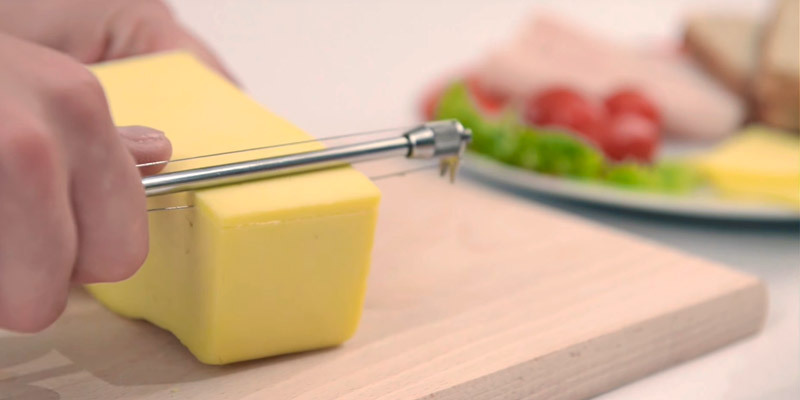 Now, going back to that practical part, the model comes equipped with this accessory on top of it that doubles as a fork, so you can cut the cheese and serve it virtually at the same time, without employing any additional cutlery. For the most part, we really like the new handle. It fits snugly into the hand, giving you a comfortable grip. That being said, it could use some non-slip padding/inserts because, as it is right now, the handle gets a little slippery in wet hands. On the other hand, the model's size is nothing if not convenient. Measuring 24.5 x 2 x 1.5 centimetres in overall dimensions and equipped with a hanging hole, the tool gives you virtually limitless storage options. Bottom line, Gastromax 7405-1 Wire Cheese Slicer has a lot going for it. It is noticeably cheaper than every other tool on this list but not quality-wise. The tool is super compact, surprisingly practical, and about as durable as the next slicer. Jamonprive Cheese Slicer Lyre, for a tool like that, looks polished and almost elegant. Though advertised as a cheese slicer first and foremost, the model can be used for more than that. With its stainless steel composition, including the wire and the rest of the tool, this little slicer allows you to cut pieces of pâtés, cakes, as well as sweet or savoury pies of a soft consistency. The slices come out as thick as you want, all without damaging the main piece. Using the model, you'll be able to prepare and present canapés, skewers, those thin little sandwiches, and other similar snacks. We also really like the tool's overall size. Measuring 11 x 12 x 0.5 centimetres, with the "12" representing its length, you'll definitely be able to find enough space for it in your kitchen drawer. All that being said, the product is hardly flawless. It is great for cutting soft cheese but not all that comfortable for slicing semi-hard and hard cheese varieties. Furthermore, it takes some time to get used to the tool as it can be surprisingly difficult to make the wire stay in place. Nevertheless, Jamonprive Cheese Slicer Lyre is still a great cheese cutter. 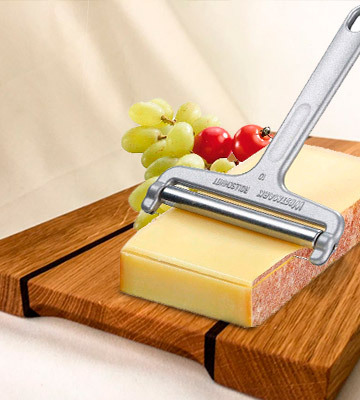 It is particularly great for slicing feta, brie, camembert, and other soft cheese varieties. It takes very little space and its stainless steel construction is rust- and corrosion-resistant. Taylors Eye Witness isn't the name you want to see behind a kitchen tool company but its Sabatier model is about as professional as advertised, so we will let the name slide this time. Though the tool is really affordable, it is about as practical and effective as the next slicer. First off, provided the images do not paint a clear enough picture, what we're dealing with here is both a cheese plane/slicer and a server tool. Its non-serrated blade easily planes, cuts, shreds, and slices thin little slices of cheese and serves them too. As far as we're concerned, that's not a bad addition to any cheese board or serving platter. 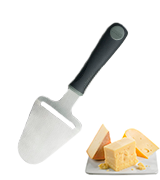 Though it isn't serrated, the blade is really sharp, perfectly capable of cutting and slicing hard and semi-hard cheese. Now, that's hardly something to write home about but the silver and black combination does make the tool look just a little bit sleek and stylish. 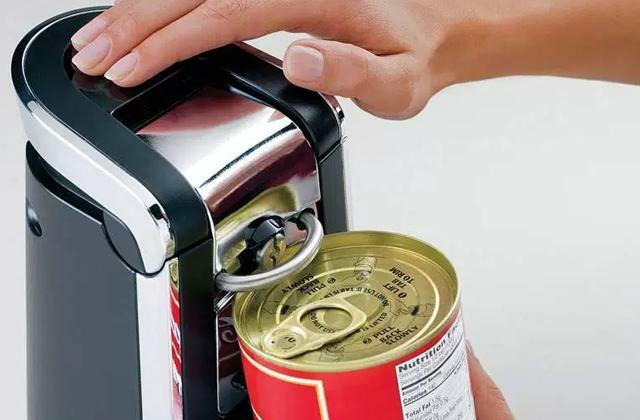 The black part, of course, comes from the handle. More specifically, the lightweight, ergonomically designed handle that remains comfortable even through extended use, giving you a soft but secure grip so that you're able to control the tool with ease and precision. Taylors Eye Witness Sabatier Professional 9" Kitchen Slicer is more or less as professional as advertised. 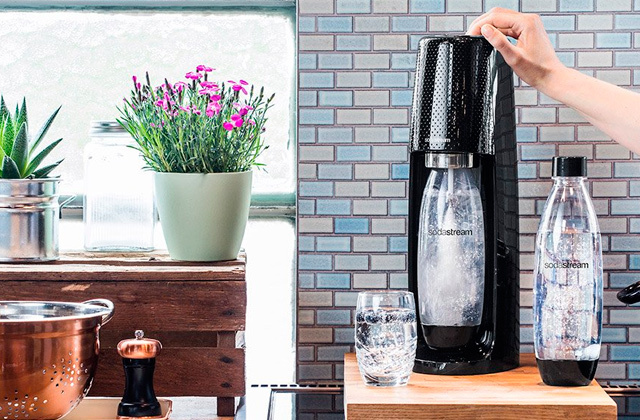 With its help, you'll be able to do more than just slice cheese. The materials involved here are robust and durable. 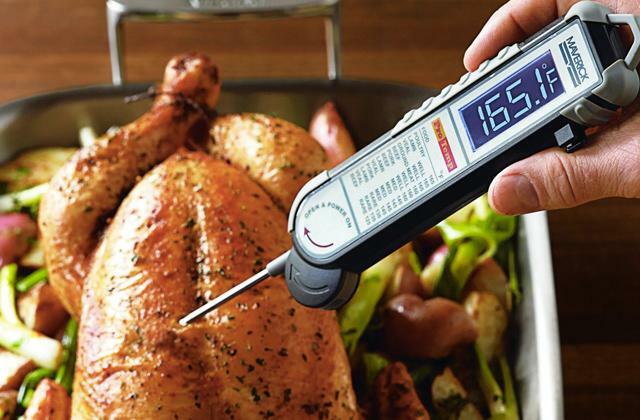 Plus, this handheld tool is dishwasher safe. Cheese is up there with one of the best all-around snacks in the world. There're so many health benefits to it that we wouldn't even bother counting and listing half of them. It goes well with just about anything, there is practically no dish that wouldn't be better with an extra slice of cheese or two. Now, you'd think that slicing cheese into nice, thin, even pieces should be a piece of proverbial cake. But is it really? Have you tried it before? The task is surprisingly difficult. That is, of course, provided you don't have a cheese slicer at hand. In that case, you shouldn't have any issues slicing just about any piece of cheese into smaller, thinner, perfectly even pieces. As you'd imagine, there's nothing particularly complicated about a tool like that. Its simplicity is the tool's biggest strength. Sure, some are a little more convoluted and a little more versatile than others. Some models will only let you slice soft cheese, while others will allow you to handle the hardest pieces. Lastly, as per usual, there are little details that separate different slicers, like a hanging hole or changeable wire blades. 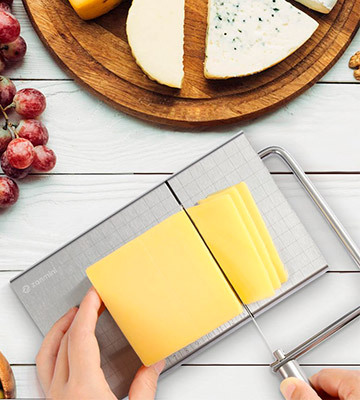 Your average cheese slicer comes without a cutting board, so you might want to buy a new one separately. 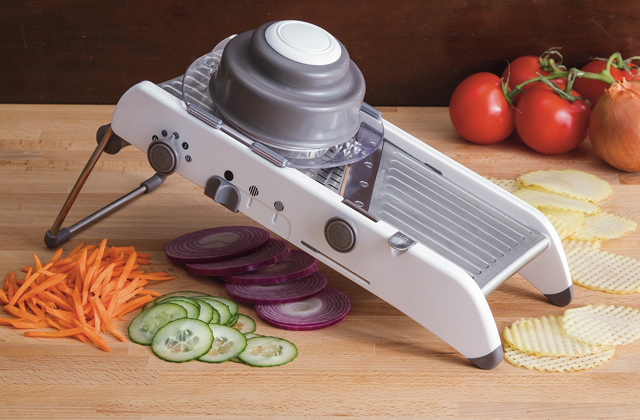 You could also consider our general-purpose slicers review, provided you are interested in a slightly more versatile kitchen tool.